Task: To raise and grow brand awareness for FlexiSEQ in the competitive topical analgesics market and to consumers using a celebrity brand ambassador. Campaign context: FlexiSEQ had been regularly active, since launching in 2016. Targeted primarily at an older consumer profile and positioned in the premium price segment of the market, the brand competes against well established brands such as Deep Heat, and very active brands with deep pockets such as Voltoral. The advertising must punch above its weight. Challenge: Cut through the increasing competitive noise levels without increasing ongoing media budgets. Solution: In 2018 it was agreed to introduce a brand ambassador to deliver enhanced share of mind through improved resonance. 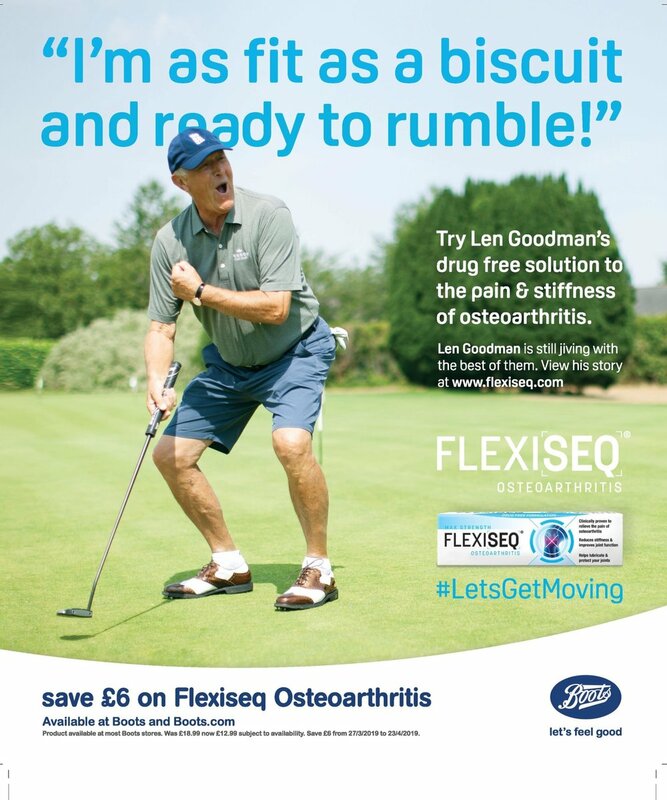 Using Len Goodman as a brand ambassador in all consumer facing activity, by the end of the year, consumer sales had doubled over 2017.